SALT LAKE CITY — U.S. attorneys in Utah prosecuting a multimillion-dollar opioid drug-ring are moving quickly to sell seized bitcoin that's exploded in value to about $8.5 million since the alleged ringleader's arrest a year ago. The U.S. Attorney's Office for Utah cites the digital currency's volatility in court documents pressing for the sale. The bitcoin cache was worth less than $500,000 when Aaron Shamo was arrested on drug charges, but the value of the digital currency has skyrocketed since then. Bitcoin was created as a digital alternative to the traditional banking system, and is prone to swings in value based on what people believe its worth. 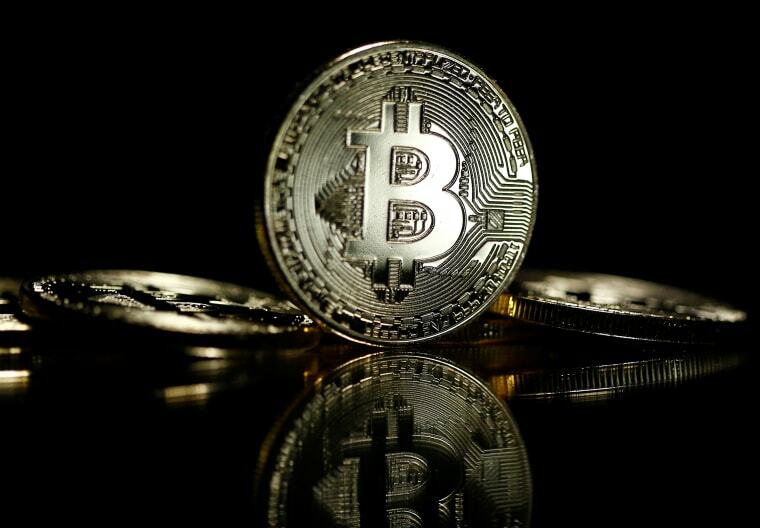 For federal prosecutors in Utah, sales of seized assets like cars are routine, but bitcoin is new territory, spokeswoman Melodie Rydalch said Thursday. Related: Is it too late to invest in bitcoin? Shamo is accused of selling pills containing the powerful opioid fentanyl on the dark web — an area of the internet often used for illegal activity — to thousands of people all over the U.S., at one point raking in $2.8 million in less than a year. The 500,000-pill bust ranked among the largest of its kind in the country, and authorities also found $1 million of cash stuffed into trash bags. Shamo has pleaded not guilty to a dozen charges. The proceeds of the bitcoin sale will be held until the case is resolved, and then decisions will be made about where the money goes, Rydalch said. Seized asset sale proceeds usually goes to the agency that investigated, like the Drug Enforcement Administration. Defense attorney Greg Skordas is not contesting the sale of his client's bitcoins. Although there's no global consensus over the status of bitcoin — debate rages whether the virtual money is an asset or a currency — that hasn't stopped officials in the U.S. and elsewhere from cashing in on the digital hauls seized from cybercriminals. In 2014, the U.S. Marshals Service announced the auction of nearly 30,000 bitcoins seized from notorious dark web drug marketplace Silk Road. Other seizures have since netted the American government millions of dollars in a series of sales. Other governments — from Australia to South Korea — have set up similar auctions over the years.